TigerVPN is a VPN service provider located in Slovakia, founded in 2011. In 2016, they launched a new website, engine, and apps. With these welcome improvements to the service, we took upon ourselves to test the VPN and share our experiences with you in this TigerVPN review. Explore All The Corners Of The Online World Safely & Privately. 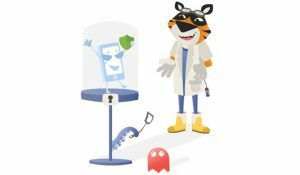 We always enjoy seeing casual-looking VPNs with cartoony, TunnelBear-like clients, so TigerVPN got some points there right off the bat. The client is pretty minimal, featuring a combination of black and yellow. The bottom section of the app is reserved for a noticeable brown connect/disconnect button. The middle section features a map with locations of the available servers, making it easier to connect to your preferred one. Everything is right there, so we would award extra points for simplicity, which will mostly benefit individuals without previous VPN experience. Directly above the connect button, you’ll be able to see your usage, which is especially useful during the limited trial period. In the top left corner, there’s a hamburger menu with options and preferences. Notably, you can set your protocol there or choose your preferred server among other options. The client looks very clean and unencumbered, runs smoothly, and doesn’t encounter errors often, which is enough to get a passing grade from us. Not to mention their “burglar tiger” mascot. We all know by now that routing web traffic through a server adds an extra detour that will cause variable speed drops. While doing research for this TigerVPN review, we tested the service in that regard and we’ll share the results in just a bit. Before that, however, we have to share the fact that using this VPN actually improved our ping on some occasions. If the service connects you to a fast gaming server, you’ll see an increase in your overall speed. This depends both on your location and that of the gaming server, so a lot of things need to click together in order for it to actually happen. When it comes to regular speeds, TigerVPN performs pretty well. Even when we noticed a considerable drop on some servers, it was still decent enough for streaming and downloading. As far as gaming goes, we tested League of Legends and played it without any problems. We performed our tests during different parts of the day and we noticed a slight decrease in speed as the evening approaches. As for connectivity, TigerVPN left us with mixed impressions. Namely, we had problems with EU servers, especially in Germany, where we couldn’t even connect. USA servers, on the other hand, gave us no grief whatsoever. So, a bit of a hit-and-miss there. TigerVPN covers all the major platform on the market, including Windows, Mac, Android, and iOS. If you use Chromebook or Linux, TigerVPN also offers a respectable amount of manual setup guides. TigerVPN currently features 300 servers in 64 locations across 43 countries. Their server base is also growing at a steady pace. 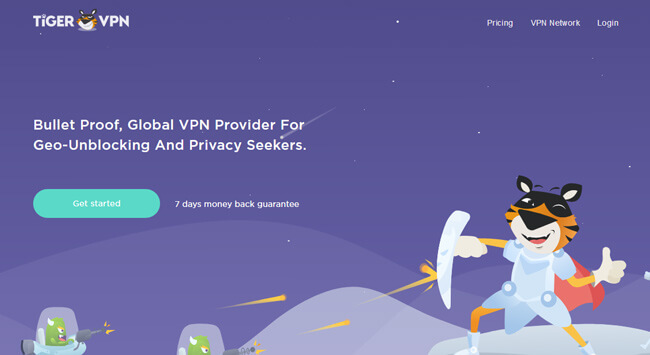 The service, thus, covers all six major continents, but we already stated in the previous section of this TigerVPN review that those located in the US proved to be the best bet for us. Every pricing plan comes with unlimited bandwidth, which also translates to unlimited P2P traffic. Speaking of P2P, torrenting is allowed on all of their servers, which is excellent news if you intend on using you VPN primarily for torrenting. Depending on your subscription package, you’ll be allowed 2, 3 or 5 simultaneous connections. You can upgrade this number using the so-called “Karma Points.” You are awarded Karma Points for following and liking TigerVPN on social networks. The annual plan also brings StickyPassword Premium and Shimo VPN Manager. StickyPassword Premium is a very secure password manager that costs 29.99$ but is free with the annual plan. Shimo VPN Manager is a VPN client for Mac OS and it’s worth 49.99$. It does help with handling multiple VPNs at the same time, but it feels a bit redundant, to be honest. TigerVPN engineers have designed the platform to always keep 30% of the bandwidth in reserve. This allows them to automatically allocate more resources at a moment’s notice. Unfortunately, TigerVPN doesn’t come with a kill switch, something we would like to see changed in the future. It was very good to see that OpenVPN was set as the default protocol. We never fail to recommend it as it offers the highest level of security for VPN users. You can also switch to IPSec L2TP or PPTP if you feel so inclined. This means that TigerVPN encrypts web traffic with AES-256-CBC cipher. Another thing we would like to see changed is the fact that TigerVPN doesn’t support Perfect Forward Secrecy. This is a good encryption shield, but they still have a long way to go in order to be on par with the likes of ExpressVPN. As far as logging is concerned, TigerVPN claims a strict no-logs policy, but there are exceptions to this rule. Namely, the platform will log some of your data, including bandwidth used, servers you connected to, and time stamps. This information is stored temporarily and cannot lead to the identification of the particular user. On the other hand, they do not log your traffic data and activity. Your email address and payment information will never be shared with anyone, but they might be stored on a third party server. As we said at the beginning of this TigerVPN review, the company operates from Bratislava, the capital of Slovakia. The country is exempt from any type of mandatory data retention and their judicial apparatus works on thwarting any such legislative directives coming from the EU. Their constitutional court had several clashes with these laws, deeming them unconstitutional every single time. In conclusion, Slovakia is a perfect location for a fully secure VPN service. TigerVPN advertises as “beginner-friendly,” which means that the support system needs to function absolutely perfectly. You will be happy to know that TigerVPN does offer support via email, ticket system, chat, and even from within their apps. User support staff usually responds within minutes, depending on the questions you might have. Note that TigerVPN’s work hours are Monday to Friday 8 AM to 6 PM GMT+2. The staff is also very knowledgeable, pleasant, patient, and professional. The service is present (and active) on all the major social outlets with regular updates to their Facebook, Twitter, and Google+ pages. Note that the official website features two different pricing lists, and we couldn’t get the response from the support team in time for this article regarding their current relevance. Available payment options include credit cards, PayPal, Paymentwall, License Code, and Bitcoin, which we especially appreciate. TigerVPN also comes with a free trial allowing you to test the service and determine whether it fits your needs. You can spend up to 500 MB after which your service will be blocked and you will be prompted to upgrade to a paid plan. The company states that they never sell test accounts and that you shouldn’t purchase them if offered. Your subscription plan will be auto-renewed and charged once it expires. Note that TigerVPN will not send you any auto-renewal notifications, so make sure to notify them in advance if you want to cancel the service. Needless to say, we would also like to see this changed in the future. Also, note that TigerVPN holds a discretion to cancel your service at any time and without prior notice if you generate extreme costs or potentially abuse/harm the service. Finishing off this TigerVPN review, here’s a quick overview of the features that wowed us and the aspects of the service that could use some improvement. Our ratings are the result of an objective and independent evaluation of TigerVPN, generating the final rating that reflects the overall quality of the company. Ratings may change as the service changes. TigerVPN user rating based on 4 user reviews. 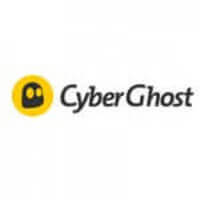 We found 0 verified TigerVPN discounts for April, 2019. Discover the full range of possibilities TigerVPN offers and become an advanced user in no time with our beginner-friendly TigerVPN guides. Whether you are interested in secure torrenting, unblocking Netflix, setting up TigerVPN on all your devices or you simply want to learn more about TigerVPN, you can find verified information and clear instructions in our TigerVPN guides below. TigerVPN Lifetime Subscription - which is dedicated to a unique offer that allows you to get the TigerVPN lifetime subscription at an amazing price.